“How To Read Nancy” originally appeared as a short essay in Brian Walker’s essential The Best of Ernie Bushmiller's Nancy (Henry Holt, 1988). This 7-page essay, deconstructing the August 8, 1959 Nancy strip in 8 steps went on to become a staple in comics studies curricula around the world. The authors decided to revisit the concept in 2007, and a decade later a 274-page book (deconstructing the same strip in 43 steps) has been released from Fantagraphics. 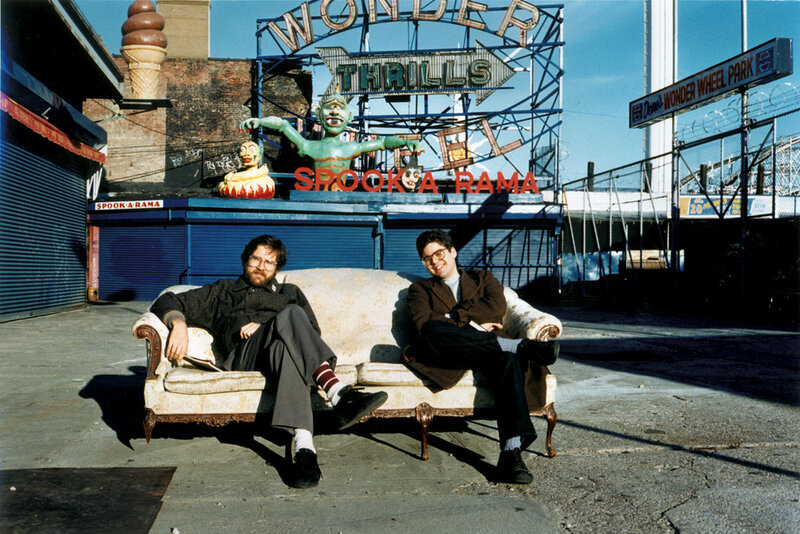 Paul and Mark, Coney Island, NY, c.1988. Mark Newgarden is a cartoonist and author of the monograph, We All Die Alone, the co-creator of “Garbage Pail Kids”, and the co-author (with Megan Montague Cash) of the award-winning Bow-Wow series of children’s books. Mark teaches at Pratt Institute, Parsons School of Design at The New School, and The School of Visual Arts in NYC. James Elkins (Introduction) is an American art historian and art critic. He is the E.C. Chadbourne Chair of art history, theory, and criticism at the School of the Art Institute of Chicago. His books include: Why Art Cannot Be Taught, The Object Stares Back: On the Nature of Seeing, How To Use Your Eyes, and Visual Literacy. Jerry Lewis (Foreword) was a comedian, filmmaker, and an iconic personality of American culture who was a expert on the craft of visual humor. 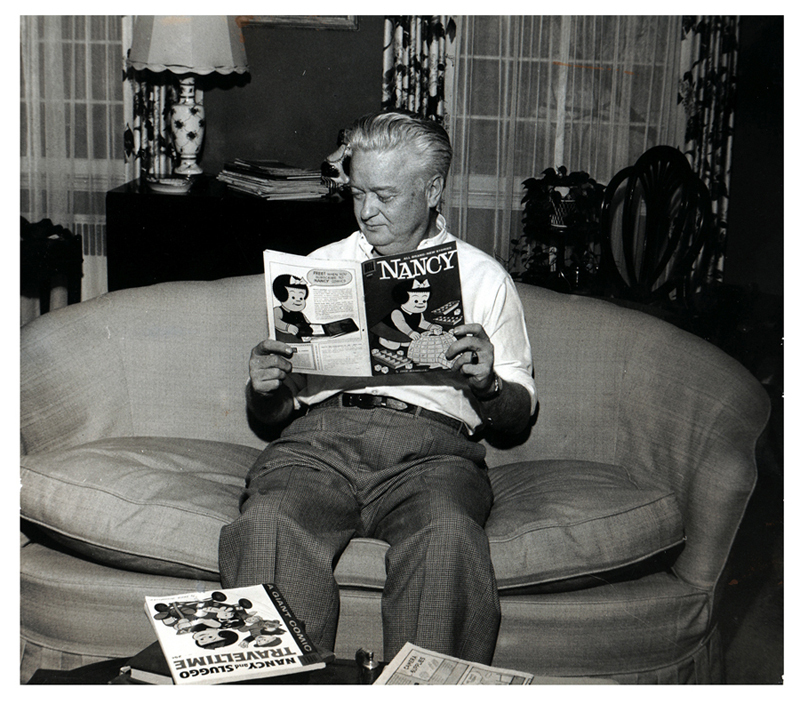 Ernie Bushmiller (1905-1982), creator of Nancy, began working as a copyboy at The New York World at the age of 14. His career spanned the bulk of the 20th century, following the trajectory of the rise and fall of the American newspaper. At its height, Nancy was published daily in more than 900 newspapers, worldwide. Photo credits: Akira Satake, Paul Karasik, Philip Nel.